Hamilton, Canada, is located in the province of Ontario, and serves as a port for the region. Hamilton is somewhat sprawling, offering an array of activities both in the city and in the province which offers fantastic access to lakes and the Niagara Escarpment (known locally as “The Mountain”). These outdoor attractions, numerous campgrounds within the city, and a number of RV providers like Apollo Campervan Hire, Cruise Canada RV Rental and CanaDream RV Rentals make a Hamilton motorhome rental in Ontario, Canada the best option for travel. 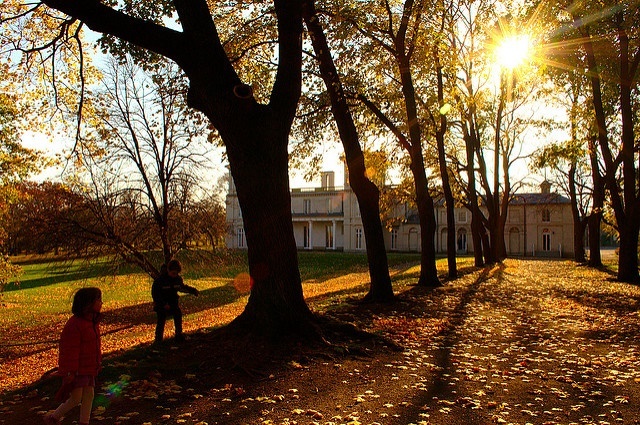 While in Hamilton, it is essential to visit Dundurn Castle, a National Historic site, as well as a tribute to Canadian history. The castle features period architecture, as well as a military museum and restaurant. Another site with excellent grounds to explore by campervan hire in Hamilton is the Westfield Heritage Village which features steam locomotive, historic buildings, and sprawling wooden countryside and meadows. You’ll also want to make your way by Hamilton motorhome rental to the Waterfront and Hamilton Harbor; so as to view the maritime offerings of the city. The Waterfront also offers boat tours, a playground for children, walking trails and access to Pier 8; which houses the HMCA Haida; one of the most famous World War II ships that served in the Royal Canadian Navy. Hamilton’s array of downtown neighborhoods also offers a unique perspective on the city, shopping and dining, as well as nightlife. Take your motorhome rental in Hamilton out to visit the many waterfalls that the city has to offer. After all, Hamilton bills itself as the Waterfall Capital of the World. 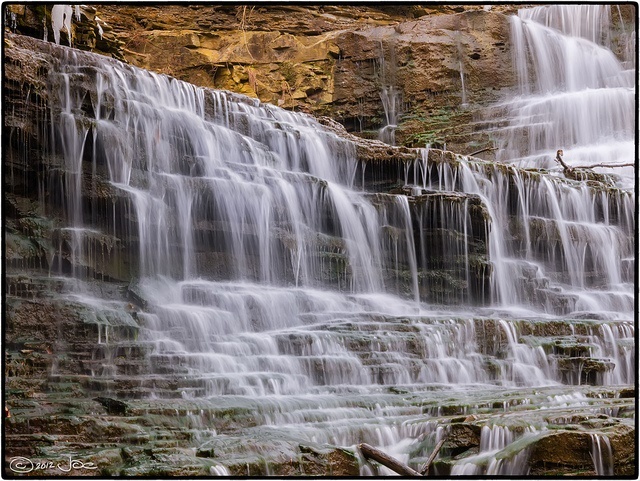 Some of the most scenic are Albion Falls located in King’s Forest Park and serves as excellent grounds for a picnic or a hike while on your way to the 19-meter waterfall nearby. Devil’s Punch Bowl is also worth a visit, and features one of the taller waterfalls in the area. Other waterfalls of note, among the close to 100, are Borer’s Falls, Tiffany Falls and Tew’s Falls. No tour would be complete, however, without spending some time before the iconic Niagara Falls a mere one hour south by campervan rental. 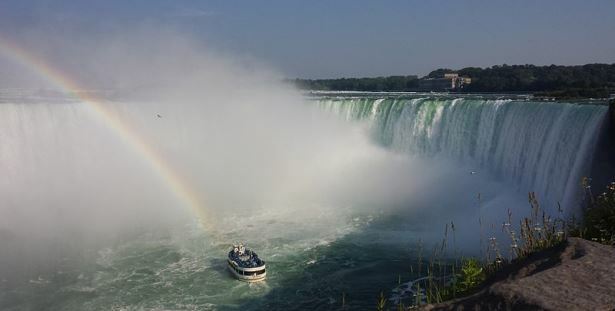 Ride the Maid of the Mist to feel the thunder and spray of the falls, or take in unhindered views of the Niagara Escarpment from Skylon Tower while you enjoy a fancy meal. Just across the border, New York is a short ferry ride if you are so inclined. You can also rent from Britz Motorhome Rentals if coming from the United States and crossing into Canada. Within Ontario itself, your Hamilton campervan hire will bring you to Canada’s most populous, ethnically diverse culinary capital, Toronto, less than an hour to the northeast. The Canadian capital, Ottawa, is four more hours farther up. If you have already travelled that far north; then perhaps driving your camper rental in Hamilton a couple more hours is not much of an effort. At the end of the road awaits authentic French cuisine and Old World elegance in francophone Montreal. Driving your Hamilton motorhome rental to the north; will bring you to the extensive forests and ancient bedrocks of the Canadian Shield. To the northwest lies the TransCanada Highways which open up a 20-hour road trip to Manitoba. An equally scenic trip west, in half that time, brings you across the United States border and into the Great Lakes region of Michigan, Chicago and Wisconsin.